Hi everyone! We are Vlad and Maria – AKA “Three Koalas”. 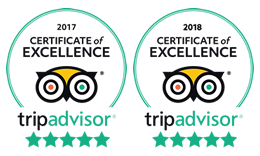 Together, from our home in Melbourne suburbia, we run small family business – private Melbourne wine tours of Yarra Valley wineries – Three Koalas Wine Tours. We live in Melbourne for more than 20 years and are professionally involved with Australian tourism and hospitality industry for more than 18 years (since 1997 to be precise). A: Because we love it! Q: Why we called our company Three Koalas when there are only two of us? We love Australian wines, we love our beautiful Yarra Valley, we love terrific Yarra Valley wineries and we love to take people there and show them some very best scenery in Australia and give them a taste of some very best Australian wines. Our Yarra Valley Melbourne wine tasting tours is always a very memorable and enjoyable experience. And why wouldn’t they? You have a pristine rural environment set up in the breathtaking valley surrounded by picturesque mountain ranges. Plethora of elegant and modern or authentic and rustic (but always beautiful!) wineries to visit and some very best wines to taste and last but not least – local fresh food produce. Cheese, meat, bread, fruits veggies, some delightful small-goods… Yam! For the price conscious or for thous with limited time we offer the most cheap private Yarra Valley wine tour in Melbourne – $49 per person! Yes, that’s right – $49. You will not find any better legitimate deal in Melbourne for the private winery tour. So stop looking! Seriously. This is the most Cheap Half Day Private Wine Tour of Yarra Valley in Melbourne. You will not find any cheaper. Full stop. We also believe that Yarra Valley is one out of just 3 main tourists attraction in a close proximity of Melbourne, which is an absolute must for any Melbourne visitor to see. And the best way to do that is to join Three Koalas Private Wine Tours of Yarra Valley. Even if you are not a big wine lover. PENGUIN PARADE, KOALAS AND YARRA VALLEY WINE TOUR – takes you to the most popular wildlife attraction in Australia – famous Penguin Parade on Phillip Island (or how it is sometimes called – “Penguin Island” :)) near Melbourne. This is just a logical development of our existing private wine tasting tours from Melbourne to other major attractions around Melbourne such as Puffing Billy, Healesville Sanctuary and Penguin Parade at Phillip Island. These tours are aimed mostly at Victoria’s overseas visitors. Three Koalas Wine Tours from Melbourne are a bit different from big wine touring companies. How? Here are our 5 key differences of Private Yarra Valley wine tours. See you on Three Koalas Wine Tour!